Showing results for tags 'gameex arcade'. 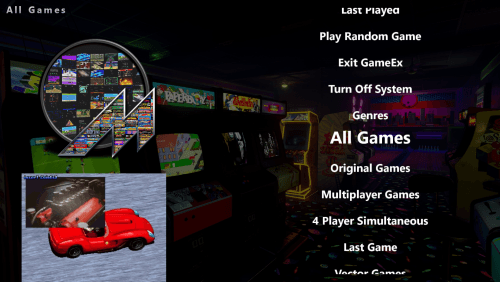 GameEx Arcade updates (all versions) overwrites Arcade Ambience configurations in Audio Settings when upgraded to new version. If Play Ambiance is changed to No, the upgrade installation will change it to a default of Yes. If the path is set to a path other than C:\ProgramData for Arcade Ambiance MP3, it will default back to C:\ProgramData upon upgrade.